Congressional sources who spoke to the Washington Free Beacon about the plan raised concerns about the benefit it would provide Boeing at a time when Iran continues to harass U.S. interests in the Middle East and test nuclear-capable weaponry. The financial benefit to Boeing also runs counter to declarations by the Trump administration, which has vowed to get tough on Iran and stop its illicit procurement of weapons and missile technology. Iran has a long history of using commercial planes to smuggle weapons to terrorists across the region, the Free Beacon reported last year. This includes repurposing commercial jets for use by the Iranian Revolutionary Guard Corps, or IRGC, the Islamic Republic's rogue fighting force. 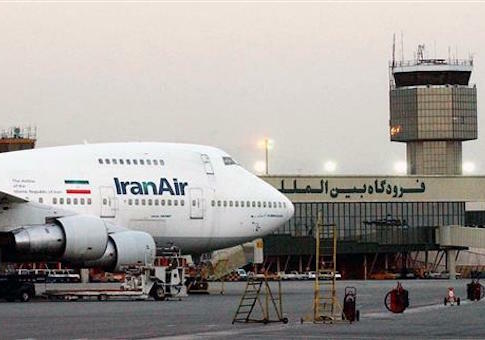 An investigation by the Free Beacon found that Iran's air force still flies several Boeing planes that were originally sold by the United States in the 1970s. Experts remain concerned that Iran will do the same thing with the 80 new airliners it is purchasing from Boeing. The border adjustment tax would greatly benefit Boeing, which does most of its business with non-American clients. Its exposure to the 20 percent import tax being leveled as a balance under the GOP's tax plan would be minimal. The elimination of tax on exports under the plan could result in a cash windfall for the company. Critics of the plan allege it would hurt small business that rely heavily on importing goods. "In effect, Boeing's U.S. cash flow, as far as the GOP tax plan is concerned, would have been dramatically negative once its $56.7 billion in non-U.S. revenue was excluded," Investor's Business Daily reported. "Morgan Stanley analysts wrote in December that some big exporters ‘may pay little or no federal taxes — and may even accrue tax benefits in the form of net operating losses.' Yet some tax experts say the only way to make the House plan work as intended would be for the federal government to write a check to exporters with negative liability." One policy insider tracking the legislation told the Free Beacon that lawmakers should be wary of providing incentives to Boeing at the same time it is engaged in business with a terror regime. "It's absurd that Congress would consider giving a huge tax break to a corporation that is in the process of selling $16.6 billion in planes to the Iranian regime while imposing a new tax that forces working-class American families to pay more for everyday products," the source said. A second source who advises Congress on foreign policy matters told the Free Beacon that opponents of Boeing's business with Iran are upset with GOP lawmakers over the tax plan. "Boeing had representatives secretly lobbying for the Iran deal, which enabled the sale in the first place," said the source, who has worked with multiple congressional offices on the Boeing issue. "Now, they've got lobbyists secretly working to get the American taxpayer to fund the sale that was originally enabled in art thanks to their secret lobbying on the deal. This is outrageous and it's unlikely Congress will stand by silently." A senior GOP congressional source with knowledge of the plan sought to reassure critics of the legislation, disclosing that lawmakers are making behind-the-scenes moves to ensure that Boeing is not permitted to continue its deal with Iran. The tax change, the source said, is not overly concerning to those who oppose Boeing's deal with Iran. "Comprehensive tax reform will be a lot bigger than just the border adjustment piece that will benefit exporters like Boeing," the source said. "The Ways & Means Committee is considering strengthening the 901(j) provisions, for example, which penalizes companies through the tax code for doing business with state sponsors of terror. Right now, under our current tax code, exporters are essentially taxed twice and importers are never taxed at all. We're going to level the playing field so everything is taxed the same rate at the time it is sold." This entry was posted in National Security and tagged Boeing, Iran. Bookmark the permalink.